Every piece of me has seemed to come from an inspirational woman who has somehow graced my life - whether it's for second or for a decade, they have made imprints on my heart and soul. 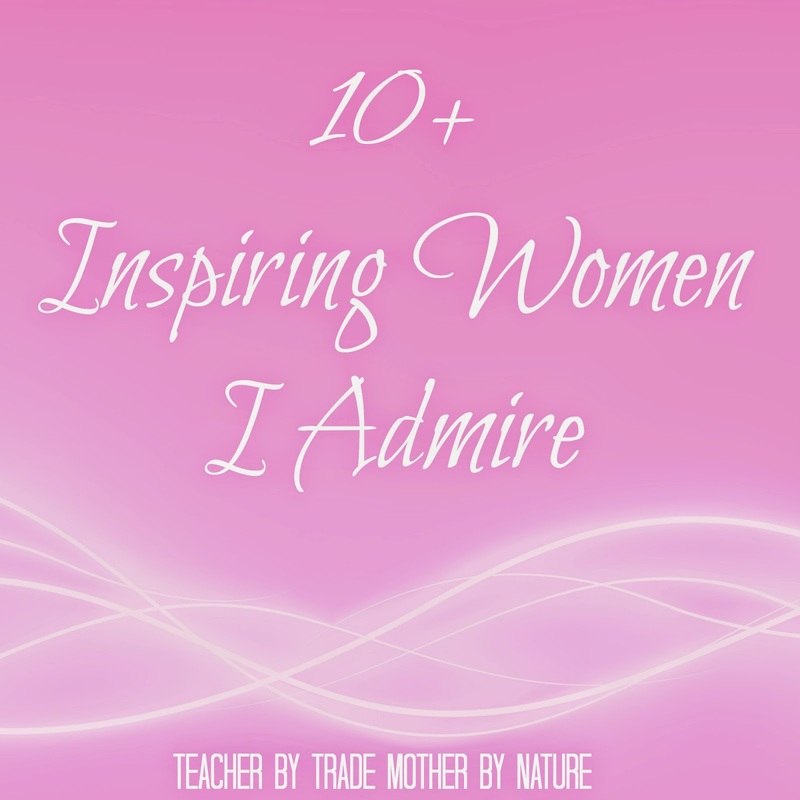 So when I saw this weeks topic for #TuesdayTen: 10 Women You Admire/Who Have Impacted Your Life - I wasn't sure which direction to take - Do I share a personal list of women I admire and have impacted my life? or do I share Women Bloggers I admire and who inspire me today...both choices are very important to me so I have decided to share both. She is not only my mum - she is my friend, my bank manager, my councillor, my first teacher, my mentor, a Nana to my kids, the list goes on...She has raised me to become the woman and mother I am today. She is and always has been there for me, supporting and encouraging everything that I do in life - the good, the bad and the ugly. She is a role model and an inspiration to me and my daughter. I love you, Mum! Ever since I was a young girl I wanted to become a teacher. I was inspired by two teachers - Jan Olney (Primary) and Jenni Hudspith (Intermediate). They were the best teachers I ever had and were my role models. I was often called a 'Teacher's Pet' by my peers and I didn't care. Fast forward a few years, I completed my Bachelor of Education and began my career as a Teacher, all thanks to these two women (Thanks Jan & Jenni). GIRL POWER!! I am not ashamed to say that I was (still am) a HUGE fan of the Spice Girls - they got me through my teenage years! My fave Spice Girl is Sporty Spice, followed by Scary Spice (my friends used to say I was combination of the two ha ha). These girls were awesome ~ I watched and recorded all of their performances that were televised (over and over), listened to their music - I even bought the Pulp "Spice Girl" shoes and wore them to my Sixth Form Prom (I was 16 and awarded Best Dancer). Another artist who I admire is P!nk! I have been following her since her first debut single "There you go" back in 2000. I even had spiky short hair like hers in my last year of High School (I wanted a drastic change - and it definitely was drastic). P!nk (Alecia Moore) is a strong, independent woman who stands up for herself and things that she is passionate about! P!nk is an amazing performer and I have had the privilege of seeing her live in concert when she came to New Zealand. She speaks to so many people through her music - She is amazing and an inspiration! I don't know where I would be without my close girlfriends - I admire each and every one of them and they have all made an impact in my life, for different reasons e.g high school, birth partner, University, Teaching, Maid of Honour, losing a Loved One, Motherhood and more. These ladies are my REAL friends, they know who they are! I don't need to sugar coat anything when I am with them. They know when I am having a low, support and encourage me to achieve my goals and are by my side when I need them the most. Although she is just a character, she's an inspiration. I was a solo mum for seven years, raising my daughter on my own. I watched every episode of Gilmore Girls and was inspired by the mother-daughter relationship that she (Lorelai) had with her daughter, Rory. It is something that I want to have with my daughter. I achieved my dreams and goals (like Lorelai did), not only for my daughter and our future, but I did it for myself too! 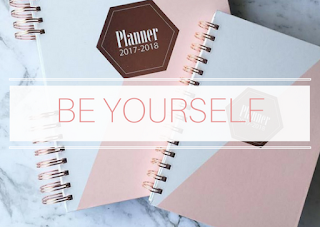 These women are amazing, their blogs are amazing - From eBooks and eCourses to Link ups and Guest Posts - They are my inspiration and I visit their blogs daily. If you haven't checked them out for yourselves - please pop over, say Hello and share the blog love. Please note: Although the pictures are of their Facebook pages - the link will take you to their actual blogs. I have been following Sonia for a while now and I keep going back for more. She is honest and hilarious, a true Gemini by nature. She shares tidbits of her Life, things she loves (interior design, diy, vodka and shopping) and the hiccups that life has to offer. Sonia (and Bron, below) are my blogging role models, they inspire me to be a better blogger. I stumbled across Bron's blog when I first started blogging. She writes about anything and everything from the joys of motherhood to photography tips. She is the mastermind behind the #inthepicture hashtag and is an inspiration to many women! I am definitely a big fan! I met Courtney via Kiwi Mummy Blogs and we instantly became friends - we are both teachers by trade and mothers by nature. I absolutely love the way Courtney writes - she is honest and stays true to who she is. Courtney was my first guest blogger (you can read her post here). She has recently given her blog a new name and a new look. 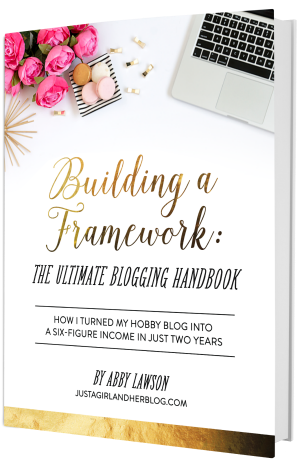 Starting a blog can be very daunting and overwhelming and that's when I found Abby's corner of the blog-o-sphere and purchased her "Building a Framework" eBook. It definitely helped me build a framework/foundation for my blog, so Thank You Abby! Not only does she help bloggers, she is also very creative. 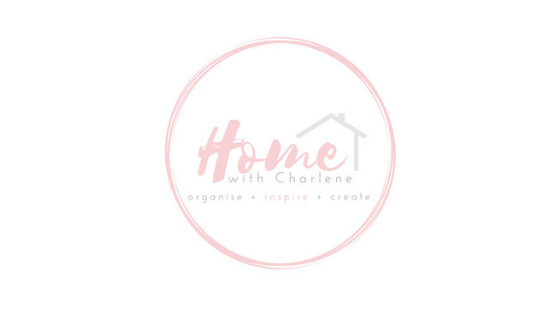 She shares recipes, diy & craft ideas, organisation tips plus more. I absolutely love Katrina - she is A.M.A.Z.I.N.G and is such an inspiration to all women. I have been following her blog for MANY years and I can spend many hours on her blog/website just admiring all the things that she does! 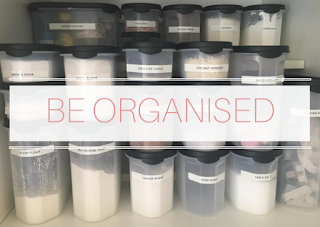 If you ever need help in organising, de-cluttering or cleaning your home - Katrina is your one stop shop! 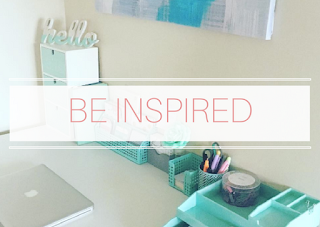 She has amazing (simple) tips and ideas, recipes, printables and much, much more! It was an honour to work alongside Katrina last year, when I signed up to her 20 Days to Organise & Clean Your Home Challenge (you can see my journey here). It honestly has changed my life and I totally recommend it. 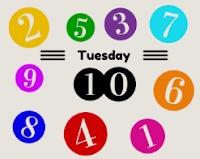 If it wasn't for Lisa, I wouldn't be writing this blog post or in fact, any of the other #TuesdayTen posts I have previously done. I needed some sort of structure and I came across this post about Daily Blog Post Themes and it lead me to linking up with Lisa and Rabia for #TuesdayTen and most recently the #1Word Blog Challenge. Lisa is an inspiration and has even had some of her posts published in the Huffington Post - It is an honour to be in her blogging community - I am learning so much from her and the other bloggers that link up too! 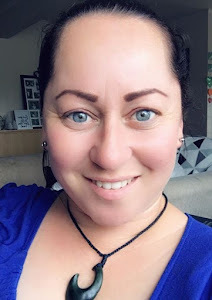 Another Kiwi Mummy Blogger that I found and connected with straightaway. 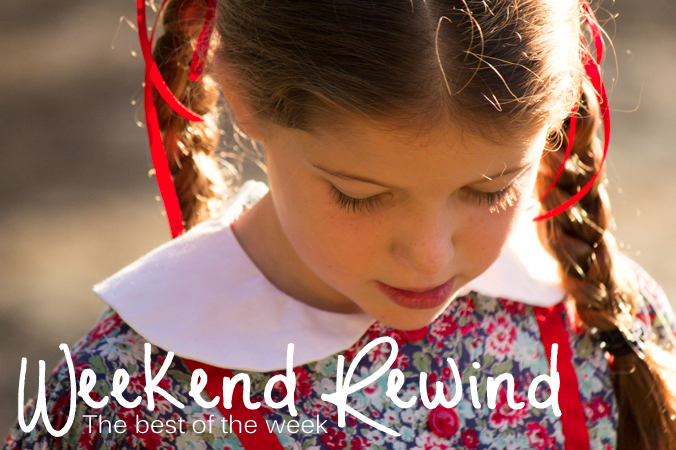 Lydia blogs about motherhood, life, her family and shares recipes, DIY & craft tutorials/ideas. She is also new to the blogging world and I have really enjoyed watching her blog grow. Lydia inspires me everyday with her warm-hearted personality & creativity. I can't wait to see what else she is going to share with the world. I am a big fan of Kiwi Mummy Bloggers (can you tell?) - I am all about sharing the blog love and Claire is another kiwi blogger who I have become friends with. Claire and I have a few things in common, we are both Mums & enjoy #FMSPhotoaday - we also love to find a bargain - (Claire - we should totally go op-shopping one day!!). Claire & her husband recently sold their house and then bought a new one two days later...they are heading off to South Africa for a family holiday soon, so I am looking forward to hearing all about her adventures. Maria is a new favourite blogger of mine. 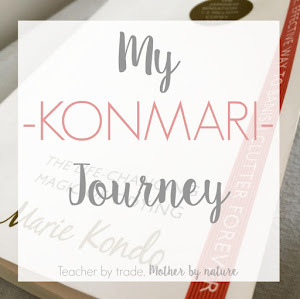 When I first came across Maria's blog, she was pregnant with baby number #2 - It was really cool following her pregnancy, and seeing photos of her baby bump and also reading posts about her journey as a mother. The past 6 months have been very busy for her, she gave birth to her son, moved countries (from Australia to Brussels) and has continued to share tidbits of her life on her Facebook page while raising two little boys! Maria is an inspiration to me and other mums. The thing that I really like about her is that she is REAL! Leanne shares photos of her 'forever' home and I must warn you, her home is to die for - she definitely has an eye for interior design. She likes to keep a simple life, is very organised and shows her creativity when it comes to planning kids parties. I actually have Leanne to thank for giving me the little push that I needed to create my actual blog (as I only had a Facebook page) - I never really thought about having a blog but now I am so glad that I did it (thanks Leanne). Who are the women or women bloggers that you admire or have made an impact in your life? Awe thanks for this - you are super sweet. I love the new blogger friends I have made on kiwi mummy blogs, and love that I have found this whole new blogging world. Yes to the OP SHOPs - they are my weakness!!!! 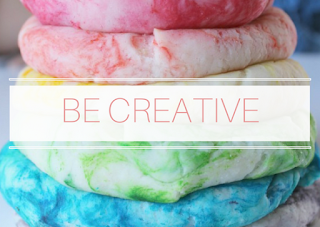 Would love to do a shop together :) Keep posting your awesome blog posts. This is a great list and I am honored to be included. I'm so glad to have "met" you through blogging. You are off to a great start! You have given me some new blogs to check out, too! Thank you Lisa! I am enjoying this journey and have found some really amazing 'blogger' friends along the way. Enjoy the blogs - these ladies are all amazing, in their own, unique way. Thank you Bron! Yes, my Mum is amazing!!! We have a really good mother-daughter relationship (similar to Lorelai and Rory Gilmore)! She is awesome and I love her. AW! This is such a beautiful post full of amazing people!! I love that you chose to identify bloggers who inspire you. Such a great idea! Thank you Chris. I thought it was a perfect time to give a lil shout out to the bloggers that have helped me become the blogger that I am. This is a great list! I love how you did it. I can't wait to check out some new blogs!! Thank you Rabia! I really enjoyed writing it! - There are so many more women that I could mention in this post but those women know they mean the world to me because I tell them and I show them! Enjoy the new blogs! Warm fuzzies Sonia! Thanks for being YOU! Thanks Shannon! :) Enjoy the new blogs :) _ They are really great! I'm so honored to be included in this list, Charlene!! Thank you so much for thinking of me! Have a wonderful weekend! Thank you so much Abby! I am a little star struck that have commented on my blog! *Happy Dance* Thank you. I hope you have a wonderful weekend too!